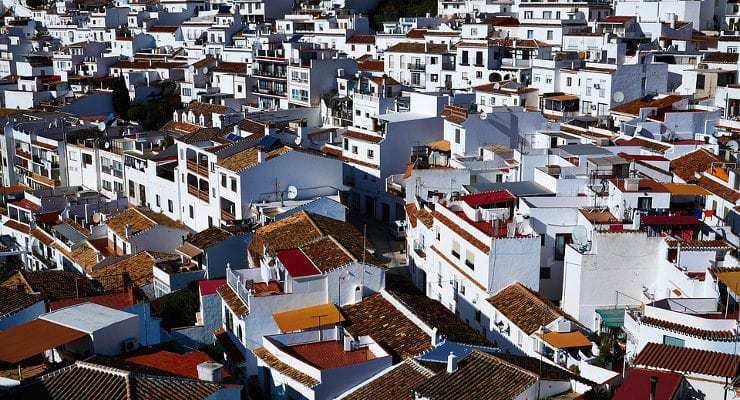 Investing in Spanish property can be a shrewd move, whether it is for your own holiday use, to generate extra rental income, or to relocate your life to Spain’s warmer climes for good. Brexit notwithstanding, the Spanish property market has always held an attraction for the British, and there’s no reason why this should suddenly change. Buying a residential property in Spain can be exciting and daunting in equal measure. The undeniable allure of Spain and all it has to offer must be balanced with common sense decisions about the bricks and mortar you are thinking of investing in. Whether you are looking for a traditional Spanish villa on the coast, a contemporary new build with all mod cons, or a little house in the countryside, it’s important to understand that living in a house in Spain is different from living in a house in the UK. Do your research and find out about key features that make Spanish properties desirable (and justify the asking price!). Particularly if your prior knowledge of the country you are about to make a big investment in is limited, arm yourself with enough property knowledge about the Spanish lifestyle to enable you to make a sensible purchase decision. Of course, if you prefer the comfort of a nearby expat community, there’s no shortage of choice. Among the most popular areas to buy property in Spain is the Costa del Sol, particularly the areas around Malaga and Marbella, and the Costa Blanca further up the Mediterranean coast. Given Spain’s mild Mediterranean climate with temperatures that can be unbearably hot in the summer, you will be pleased to hear that most older, traditional buildings tend to have been constructed with thick walls that provide effective thermal insulation. Staying cool, particularly at night in the bedroom, is a huge bonus ensuring a pleasant stay for you and your guests. Luckily, air conditioning is a standard feature in most modern properties, but do double check. Not so with central heating. Think beyond the summer and you will find that all parts of Spain cool down significantly during the winter months. Don’t make the naïve mistake of assuming that all Spanish homes have central heating (or any form of heating, for that matter) – they don’t always! One of the ultimate features for any Spanish home has to be an outdoor swimming pool. Not only is it a true symbol of luxury, it’s a wonderful amenity for everyone to enjoy during the long, hot summer and a staple of the Spanish lifestyle. Plus, of course, a swimming pool adds serious value to your investment. If your chosen property doesn’t come with a pool, check to see if there’s enough space to add one, and obtain competitive quotes from local builders. If you’re worried about dealing with Spanish builders, especially if you’re unfamiliar with the language, building regulations and the way of doing business in a foreign country, why not contact a British owned (and English speaking!) construction company with local pool building experience, such as ProMas in Marbella, for confidence and peace of mind? One of the main reasons of wanting to own property in Spain is to take advantage of the wonderful weather. Together with the interior rooms, outdoor spaces are key to enable you to enjoy the alfresco lifestyle that seamlessly transitions from inside to outside. Look out for balconies and shades terraces, sun decks and roof terraces, outdoor kitchens and BBQ areas, pools and jacuzzis with outdoor showers, lush gardens featuring pergolas and loggias, and even your own private beach. Whether you prefer to relax in the sun or enjoy outdoor entertaining, this can be one of the most rewarding and enjoyable aspects of living la vida espanola and a welcome contrast to life back at home in the UK.